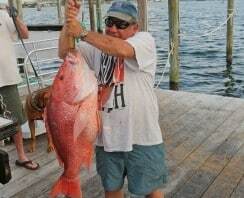 Women Deep Sea Charter Fishing In Destin, Florida | Destin FL Fishing Charters - No Alibi Charter Boat Red Snapper, Shark, Cobia, Grouper & More! 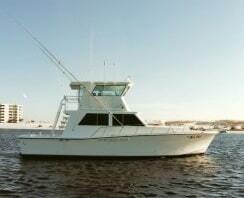 When Ladies Want To Land The Big Fish In The Gulf of Mexico, ‘No Alibi’ Is The Charter Boat To Call! Check out this neat video of the Captain and First Mate helping make a memorable adventure for these ladies fishing offshore of Destin, FL. The action is super-exciting as we land on the big fish and gently advise and assist where necessary while letting capable women do their magic to reel in some beautiful catches. Over the years we’ve found women LOVE deep sea fishing and sport fishing and the No Alibi team ensures that our fishing trips area a fun adventure for anyone visiting “The World’s Luckiest Fishing Village”. Would you like to book a trip for yourself, family, and friends? 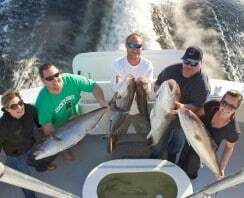 Call Captain Chris Schofield (850) 797-5827 to book your charter now!